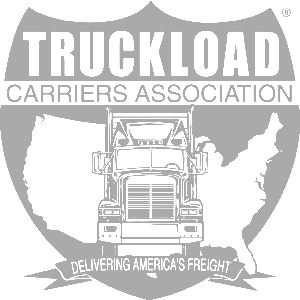 Every professional driver knows the importance of performing a proper pre-trip inspection before every trip. But there’s another part of caring for the truck that can help improve fuel efficiency – getting preventative maintenance servicing done on time. Not only can preventative maintenance minimize the amount of time you spend in the shop, but it can also keep more money in your/the company's pocket! Earn More Money with Better Maintenance? That’s right. 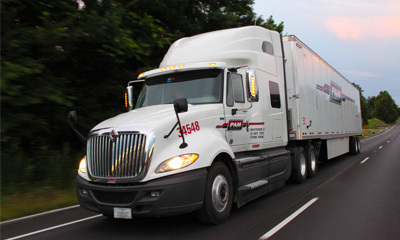 PAM Transport’s MISSION MPG program rewards drivers for being the most fuel-efficient drivers at the company. 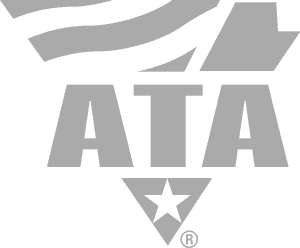 And by maintaining your truck’s servicing requirements, it runs at peak efficiency, keeping more money in both the driver and the company’s pockets. 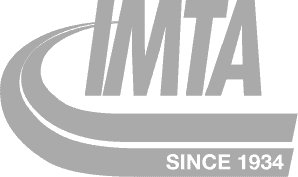 MISSION MPG is a fuel efficiency program that rewards PAM Transport’s most fuel efficient drivers with prizes and bonuses. This year, the company’s drivers earned over $600,000 in cash and prizes, and the grand prize winner even received a Harley! The “O” in MISSION MPG stands for On Time Maintenance. Make sure you get your preventative maintenance services done on time. 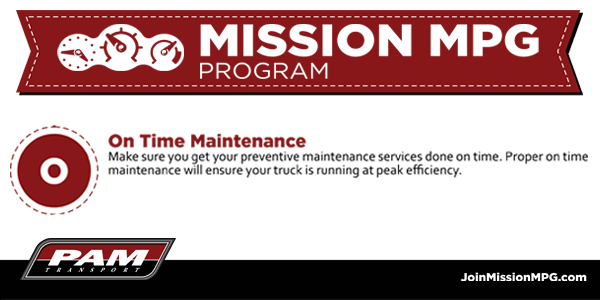 Proper on time maintenance will ensure your truck is running at peak efficiency. Performing preventative maintenance isn’t just for fuel efficiency, though. A truck that’s not maintained can lead to accidents on the road, which can affect both the driver and the company’s CSA scores. S: Reduce Speed. Improve Fuel Efficiency. Earn Money. Get our blog in your inbox. This field should not be filled out. Please leave this blank. These are the things we write about. © 2019 Driver Solutions - all rights reserved.